Are you still using expensive high-intensity discharge (HID) technology to light your facility, but perhaps not quite ready to make the switch to LED technology? Border States has just the solution for you. 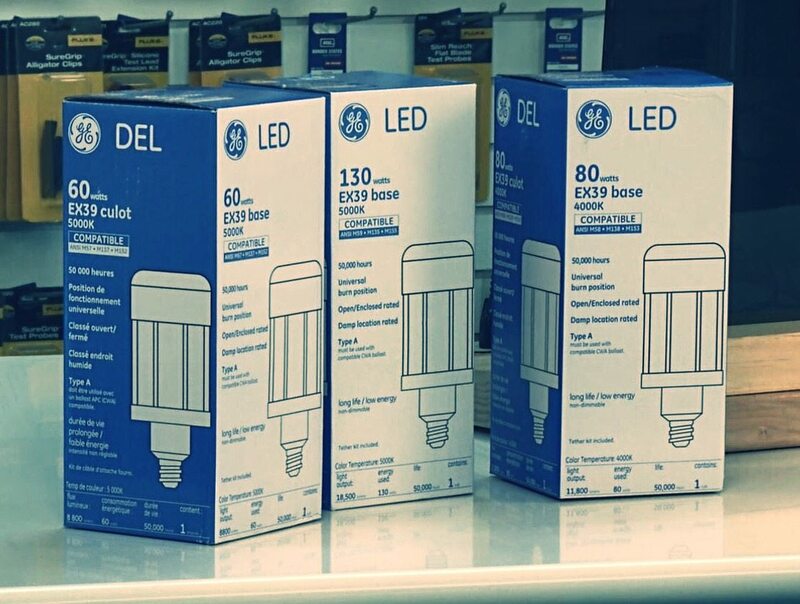 GE LED replacement lamps for HID give you all the benefits of LED without you having to replace the entire fixture. Plus, they’re a breeze to install. They simply screw into the socket and run on the existing metal halide or high-pressure sodium ballast. 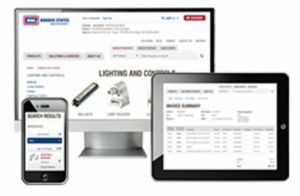 Just check the cut sheet to ensure you have the proper American National Standards Institute (ANSI) ballast in place, replace the existing lamp, and attach the safety tether cable included in the box. The biggest change for the second generation is the addition of a long-life fan that allows for open and enclosed fixture applications. 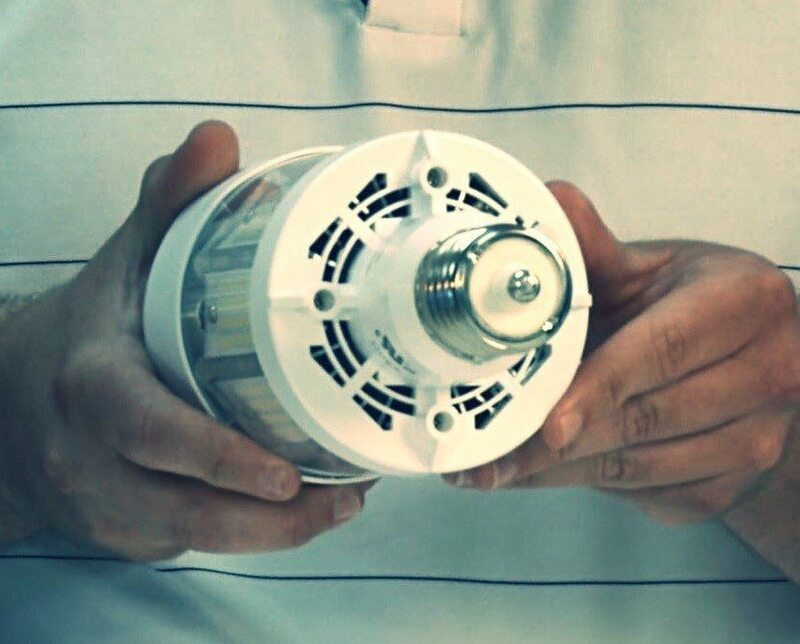 In addition to a universal burn position without a major drop in lumen output, these lamps offer a 50,000-hour L 70 life (more than double the life of HID), two color temperatures and four lumen packages to replace up to a 400 W metal halide lamp. Another nice benefit of LED compared to HID is it’s instant-on at full brightness with no restrike period. It also includes a -20 to -50 degrees C rating, and is backed by a five-year warranty from GE, so that’s peace of mind. 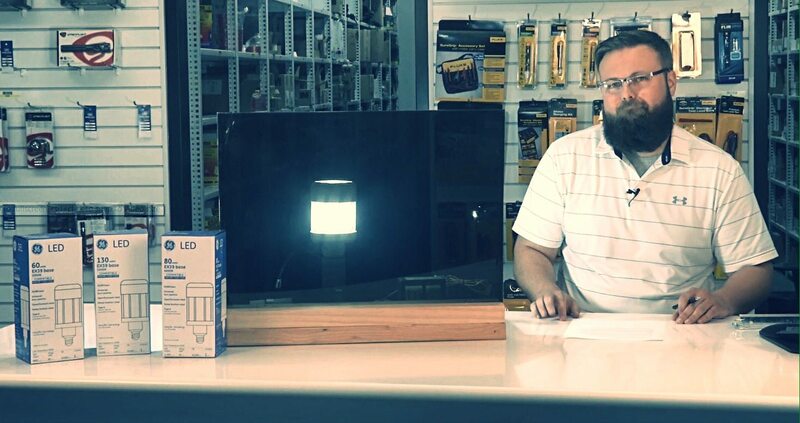 You can learn more about the GE LED replacement lamps for HID, and other LED solutions for your project, at www.borderstates.com, by reaching out to one of our lighting and energy solutions specialists, or by commenting on the above video.